We just had our 200 day anniversary at TheTokener and we are truly looking back to a hell of a ride. We’ve been working closely with ICO companies to create valuable content for both our reader and the publisher. Our feature set has grown rapidly and we are now offering one of the most complete and free listing options in the market. A couple dozens of companies reach out to us on a daily basis. Most of them are small teams working night and day to create something groundbreaking, fast. With pioneers as customers, we have to deliver excellence. So we are making a big step in professionalizing. Sound leadership and advice is key to most of the successes we’ve seen among ICO’s. And to reach excellence in our online media adventure, we need sound advice. We need to work hard on professionalizing and building a brand. I’m happy to announce our biggest step in this journey so far: Introducing Vladimir Ninov from WebCoin as our Advisor and Brand Ambassador. Vladimir is a serial online entrepreneur with a vast experience in digital marketing, advertising, crowdfunding and growth hacking. With over 7 years of experience helping crowdfunding projects to raise over $100 million on various platforms. Vladimir has also been helping entrepreneurs to successfully build personal branding and to become contributors for global news outlets like Forbes, Inc, Entrepreneur, FastCompany and to most of the big ICOs to successfully reach their soft and hard cap funding goals. 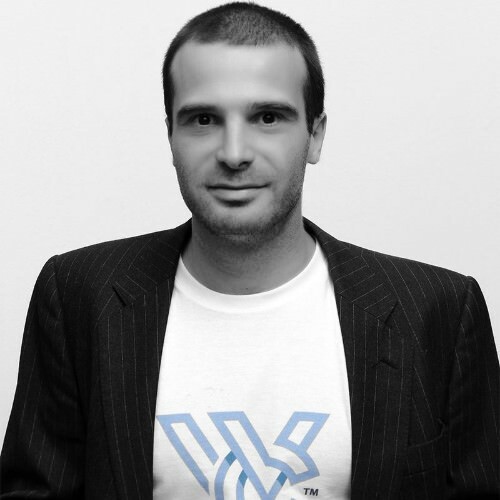 Vladimir is an ICO advisor for several global projects and also a Co-founder of the Webcoin project which aims to change the way how the world does marketing.